We have all been in this situation… It’s time for dinner but you are missing an ingredient or two to complete a meal. No need to run to the nearest grocery store, with a little improvisation you can salvage dinner and create a tasty meal with a few common pantry staples. Heat 1/2 tablespoon of butter and olive oil in a skillet over medium high heat. Add the hotdogs to the skillet and cook until browned. Add the broccoli to the skillet and saute. Add water to the hot skillet to steam the broccoli and saute for an additional 2-5 minutes. Remove from the heat and set aside. Add the remaining butter to a sauce pan and melt. Add the cream and garlic then simmer over low heat for 5 minutes. Whisk in cheese and parsley and stir occasionally over a low heat from an additional 3-5 minutes. Meanwhile, heat skillet, add pasta and toss with a little olive oil. 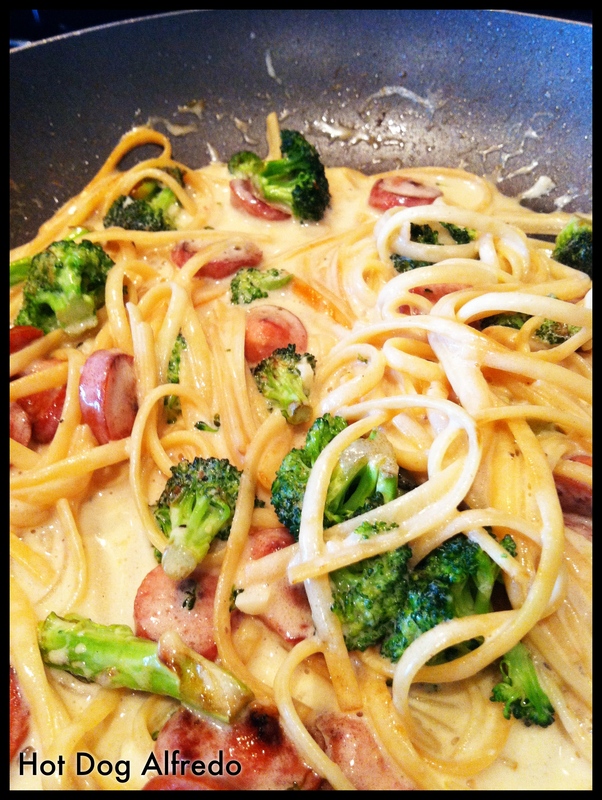 Add the broccoli and hot dogs and toss for 1 minute. 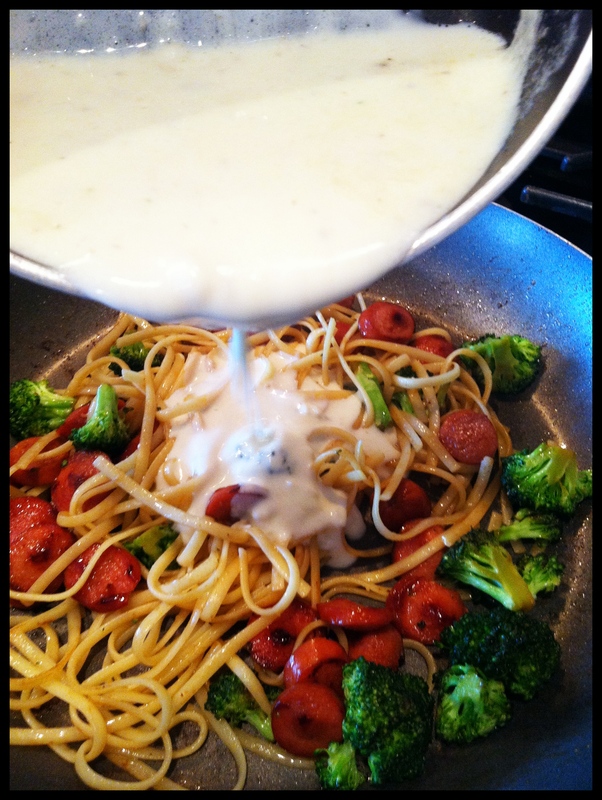 Pour the alfredo over the broccoli and hotdogs then toss until heated through. Ok the first thing I thought of when I saw the title was “Big Bang” and Sheldon’s love of hot dogs and spaghetti. But you know, I think this wouldn’t be so bad. In fact looks good!